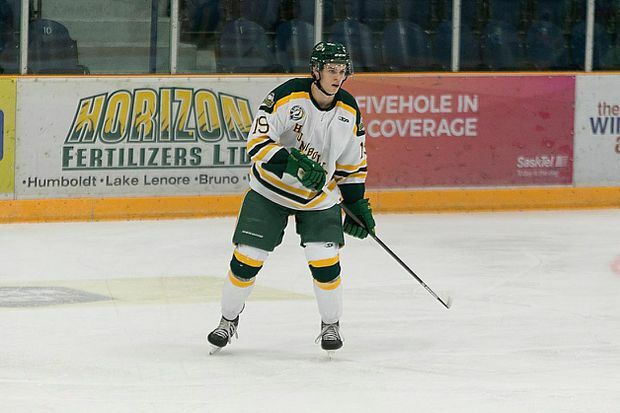 Humboldt Broncos' forward Matthew Gomercic is shown in a handout photo. A Humboldt Broncos player injured in a deadly crash in Saskatchewan has signed with a hockey team at an Ontario post-secondary institution. Matthieu Gomercic, a 20-year-old forward from Winnipeg, is joining the Ridgebacks at the University of Ontario Institute of Technology in Oshawa. Coach Curtis Hodgins says in a news release that Gomercic has a big frame, protects pucks well and is a great addition to the team. The Ridgebacks announced in June that former Bronco Bryce Fiske had also signed with the team. Gomercic and Fiske were among 13 players injured in April when the junior hockey team’s bus and a semi-trailer collided at an intersection in rural Saskatchewan. Sixteen people on the bus were killed. The driver of the truck, Jaskirat Singh Sidhu of Calgary, was charged earlier this month with dangerous driving causing death and dangerous driving causing bodily injury.